Why do we not have a thread for one of the best films of the year? Obsessed with this (and the soundtrack) since I saw it last week. Seeing it next week, can’t wait! It started off slow in the USA, but it is coming a hit due to good word of mouth. My friends have said that it's an okay movie, but that the music is excellent. Intrigued to see this but not playing in cinemas anymore so i have to wait for iTunes release. Just saw this. Brilliant movie with very strong performances. I like that it was very fast paced as well, didn’t drag on too much. Just came back from seeing this, I'm not a musicals fan usually but I really enjoyed this! Pacey, fab acting and scenery and some of the songs were great - the touring singer's voice was incredible! Heart-warming ending too. Not a huge fan of musicals but absolutely ADORED this! Incredible. I had a smile throughout and goosebumps constantly. Can’t wait to see it again! I really want to see this again. Once was not enough. I’ve been playing the soundtrack constantly for the last 3 weeks and it still sounds incredible. Saw this today and it's the best thing I've seen in ages. Every song was so bang on the money, like Mike said, Loren Allred's voice was outrageous, I was trying to hide the fact I had tears during that song, it was a real moment. I went straight out and bought the soundtrack on the way home. This was everything that La La Land wasn't. This is still going strong at the box office, even after being out for 3 and a half months. Incredible. It could potentially overtake Grease. I didn’t realise how great B&TB did at the Box Office. I really wanna see this, the soundtrack sounds amazing! Just watched this. While it wasn't as good as La La Land, TGS is a solid musical. While I agree. I get different joys watching the two different movies. TGS is much more feel-good, whereas La La Land ultimately broke me with the ending. Missed it at the cinema but was looking forward to seeing this for months - finally watched it a few weeks back and it is the best film I have seen in ages. Love the soundtrack and it’s one of those films you can watch over again. I think I’m gradually becoming a bit of a fan of musicals. Nice to see something original too. I know some people have mentioned La La Land and in my view I can see why some might compare them - though in my view La La Land didn’t live up to my expectations but this exceeded them! I think I’m gradually becoming a bit of a fan of musicals. Not you too, can't wait for the next "I've got something to tell you guys"
How long is gonna take this to hit Broadway? I'd totally go to the stage version. 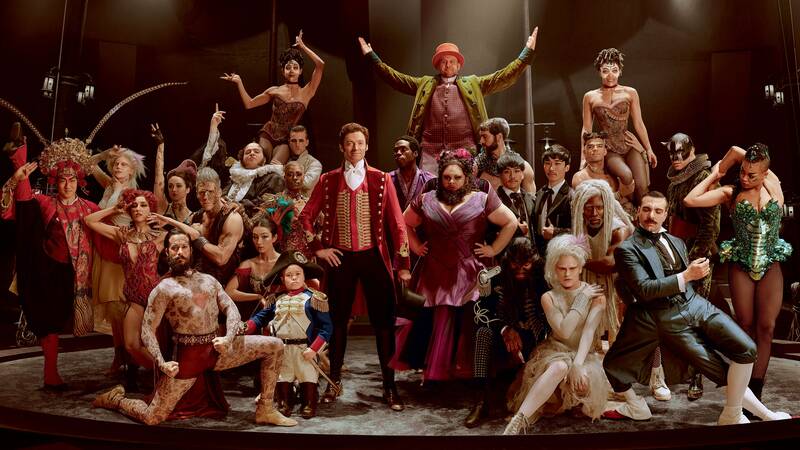 I don't know if the fact that "Barnum" has been such a long running show is going to hamper getting this to Broadway. This could transition so well to Broadway. Much better than Frozen has - even though Frozen has received great critical acclaim, Elsa and Anna are such well known characters that people find it almost jarring seeing actors who don't look exactly like them portray them on stage. I don't think Greatest Showman would have that issue though. You'd need a very talented singer to portray Rebecca Ferguson's character though, I don't want any random murdering Never Enough. I don't necessarily think so, there's a whole new generation now who are probably unaware of that musical so I think it could find it's audience quite easily. I just hope it doesn't cost as much to see as the likes of Hamilton.